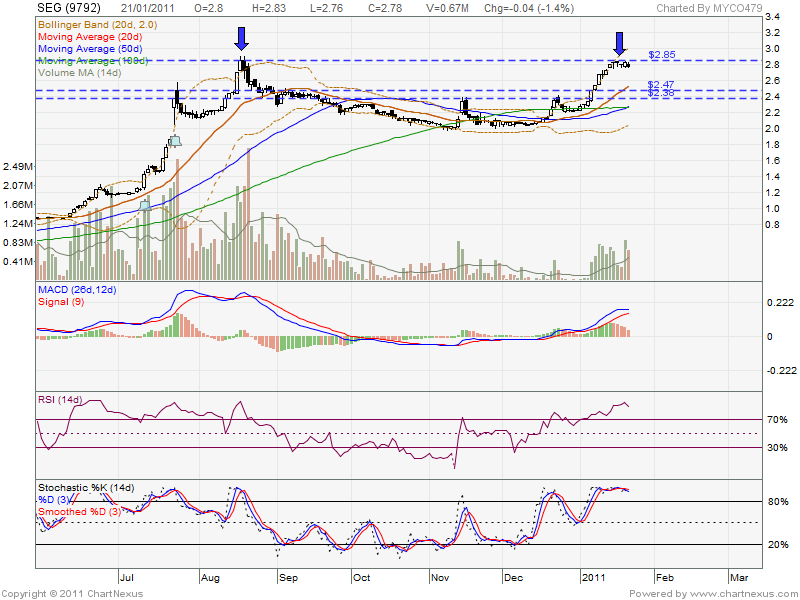 SEG is now consolidate at RM2.85 resistant level? On 21 Jan 2011, volume of dispose is higher than volume average. Added, indicator of RSI & Stochastic %K shown overbought stage, so consolidation or retrace down to support level is the next bull run opportunity. If retrace down, it might retest RM2.47 & RM2.38 support level. 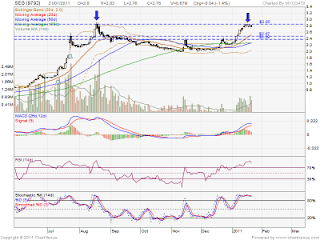 If able break up RM2.85 resistant, it will be much more attrative, new high record.